(pinglist for new openings here). Far beneath the Tempest Spire, below the sealed off laboratories and beyond batteries for the most dire of outages, lies a long deserted strata of technology. Electrically infused life forms from a bygone age, they now begins to stir. Claim these reviving proto-dragons for a fee, if you dare to house such primordial technology alongside modern dragon-kind! Jurassic Spark is home to many patterned and unique adopts that eerily reflect modern breeds of dragon. They operate as an RNG pixel adoptable, with all proceeds going towards the Lightning Dominance Bank. You will be able to order up to 5 pixel adopts a day from one of our fabulous attendants. To get started, please see our spreadsheet here! Each RNG pixel adopt is 5kt, with a limit of 5 pixels per day (gems are accepted at 1:1000, so 25g for a full day's order). In addition, an optional bribe program (.exe) may be run (once per day), to guarantee the breed of one of the received pixels. Plain Lightning flight colored pixels are used here, as examples. 5 patterns, 1 seasonal pattern, and 1 pose exist for each breed at present. More breeds, poses, and patterns (both ordinary, seasonal, and exclusives) will be added over time. Exclusives are available only during that opening. Seasonal patterns are available for a few openings during that particular season each year. "A blushing Spiral has come to greet celebrants of the season!" Rusted - This pattern indicates a stationary or not well maintained creature. Their metal panels are beginning to break down, and the thick crust of rust is apparent across their bodies. Camouflaged - This pattern is found most commonly on stealthy creatures. Their specific gradient is dependent on their surroundings: Those that dwell in icy regions will have pale, muted markings to disguise them in the deep snow-whereas a creature that dwells in the desert or forest will have a different palette entirely. Stippled - This pattern indicates a roughened exterior. Whether from digging or harsh environments, their metal panels have become sandpaper-like and rugged. Koi - This decorative pattern draws the attention of all nearby. Envy and admiration follow their uniquely patterned metal panels. They are said to bring good luck by gazing upon them. Shadowed Tiger - This pattern belongs to hunters hailing from verdant forests. Green dappled metal panels keep them camouflaged whilst their violet eyes transfix their prey. Meeting one, and surviving the encounter, is good fortune. [SEASONAL-WINTER] Snowdrift - Soft snowflakes drift across their surface in an ode to the wintery season. This seasonal pattern can be found only during winter openings. Count on this blustery pattern to bring winter joy to any lair all year long. Do not alter or recolor the pixels received. Display only the pixels you have received (borrowing or trading is not a function we support). These pixels are designed for FR, please do not display them on other sites. We have backups of all the pixels and will rehost them (and provide the link) if the current host breaks. Pixels sets may not be ordered for other users. You may only order sets for yourself. Please have patience, our attendants will process orders in the order received! A new way to purchase pixels is being investigated for TCC/July opening, please stay tuned! [center][size=2][url=http://www1.flightrising.com/forums/adopt/2559135/1#post_2559135][b]Main Page [/b][/url]| [url=http://www1.flightrising.com/forums/adopt/2559135/1#post_36056116]Pricing and Breeds[/url] | [url=http://www1.flightrising.com/forums/adopt/2559135/1#post_36056118]Rules and Order Form[/url] | [url=http://www1.flightrising.com/forums/adopt/2559135/1#post_36056119]Badges and Duplicate Turn-ins[/url] | [url=http://www1.flightrising.com/forums/adopt/2559135/1#post_36056121]Spreadsheet[/url] | [url= http://www1.flightrising.com/forums/adopt/2559135/1#post_36056122 ]Compendium[/url] | [url=http://www1.flightrising.com/forums/adopt/2559135/1#post_36056132]Raffle and Customs[/url] | [url=http://www1.flightrising.com/forums/adopt/2559135/1#post_36056133]Pinglist[/url] | [url=http://www1.flightrising.com/forums/adopt/2559135/1#post_36056135]Credits[/url][/size][/center] [center][img] https://cdn.discordapp.com/attachments/506313438683856916/506313842918424586/badges.png [/img][/center] As a thank you for the lucky (and sometimes not so lucky) participants, we have badges for number of pixels ordered (with additional badges on the way!). [center][img]https://cdn.discordapp.com/attachments/505194253174046732/505946279332020227/collection-p1.png[/img][img]https://cdn.discordapp.com/attachments/505194253174046732/505946280401436674/collection-p2.png[/img][img]https://cdn.discordapp.com/attachments/505194253174046732/505949199796273159/collection-p3.png[/img][/center] For 25, 50, and 100 ordered pixels respectively! [s]What's that coming out of the egg? Nothing scary we're sure...[/s] Keep your eyes peeled for additional tiers to this badge in the future! 200 and 350 variants coming in March's opening! Support our thread with the conveniently sized signature banner! [center] [url=http://www1.flightrising.com/forums/adopt/2559135][img]https://cdn.discordapp.com/attachments/506313438683856916/506313939962036224/jurassic-spark-mini.png[/img][/url][/center] [code][url=http://www1.flightrising.com/forums/adopt/2559135][img]https://cdn.discordapp.com/attachments/506313438683856916/506313939962036224/jurassic-spark-mini.png[/img][/url][/code] [img]https://cdn.discordapp.com/attachments/506313438683856916/518657260478529559/duplicates.png[/img] Duplicate pixel pets may be turned in for various, turn-in exclusive badges. These badges will vary opening to opening, and rotate in at least once a year. Point costs will vary badge to badge. If you wish to turn in your duplicate points (tallied on each [url=https://docs.google.com/spreadsheets/d/10DFM8n0b3frloaNV6zd0STlQZaoYbpRdoTzDBRviy00/edit#gid=2095515502]personal pet compendium document[/url]), please Private Message (PM) an available attendant with your request. You will need to have enough duplicate points to make the exchange, so please check your total before contacting an attendant! [center][b][u]Winter opening turn-in[/u][/b][/center] [center][img]https://cdn.discordapp.com/attachments/505194253174046732/517832367482863638/winter-exclusive-pearl.gif[/img][/center] [center][b]Cost:[/b] 50 points[/center] This will be changing in the SPRING (March-May). As a thank you for the lucky (and sometimes not so lucky) participants, we have badges for number of pixels ordered (with additional badges on the way!). For 25, 50, and 100 ordered pixels respectively! What's that coming out of the egg? Nothing scary we're sure... Keep your eyes peeled for additional tiers to this badge in the future! 200 and 350 variants coming in March's opening! Support our thread with the conveniently sized signature banner! Duplicate pixel pets may be turned in for various, turn-in exclusive badges. These badges will vary opening to opening, and rotate in at least once a year. Point costs will vary badge to badge. If you wish to turn in your duplicate points (tallied on each personal pet compendium document), please Private Message (PM) an available attendant with your request. You will need to have enough duplicate points to make the exchange, so please check your total before contacting an attendant! This will be changing in the SPRING (March-May). Please see our spreadsheet here! [center][size=2][url=http://www1.flightrising.com/forums/adopt/2559135/1#post_2559135][b]Main Page [/b][/url]| [url=http://www1.flightrising.com/forums/adopt/2559135/1#post_36056116]Pricing and Breeds[/url] | [url=http://www1.flightrising.com/forums/adopt/2559135/1#post_36056118]Rules and Order Form[/url] | [url=http://www1.flightrising.com/forums/adopt/2559135/1#post_36056119]Badges and Duplicate Turn-ins[/url] | [url=http://www1.flightrising.com/forums/adopt/2559135/1#post_36056121]Spreadsheet[/url] | [url= http://www1.flightrising.com/forums/adopt/2559135/1#post_36056122 ]Compendium[/url] | [url=http://www1.flightrising.com/forums/adopt/2559135/1#post_36056132]Raffle and Customs[/url] | [url=http://www1.flightrising.com/forums/adopt/2559135/1#post_36056133]Pinglist[/url] | [url=http://www1.flightrising.com/forums/adopt/2559135/1#post_36056135]Credits[/url][/size][/center] [url=https://docs.google.com/spreadsheets/d/10DFM8n0b3frloaNV6zd0STlQZaoYbpRdoTzDBRviy00/edit#gid=2095515502][img] https://cdn.discordapp.com/attachments/506313438683856916/534035994727677972/compendium.png[/img][/url] [img]http://68.media.tumblr.com/ec25a86aa52367906cef5fe9a01f8f45/tumblr_nj9kyb0AiI1r28672o7_1280.png[/img] Make a copy of [url=https://docs.google.com/spreadsheets/d/10DFM8n0b3frloaNV6zd0STlQZaoYbpRdoTzDBRviy00/edit#gid=2095515502]your own pet catalog [/url]with the Jurassic Spark Compendium! Simply enter your user ID number in the top row, and see your pixel friends populate the sheet post-haste. Useful for tracking your collection, the Compendium will also show your current duplicate point total (used for duplicate turn-ins). [size=4][u]A new copy will need to be made every opening. [/u][/size] As exclusives and the variety of adopts increase, a fresh copy of the Compendium will be required to keep track! Old copies will not include these new additions. Make a copy of your own pet catalog with the Jurassic Spark Compendium! Simply enter your user ID number in the top row, and see your pixel friends populate the sheet post-haste. Useful for tracking your collection, the Compendium will also show your current duplicate point total (used for duplicate turn-ins). A new copy will need to be made every opening. As exclusives and the variety of adopts increase, a fresh copy of the Compendium will be required to keep track! Old copies will not include these new additions. For every pixel purchased (regardless of bribe), a ticket will be assigned to your name. A drawing will occur at the end of the opening to see who the lucky custom winner will be! The winner will be able to choose from the existing breed poses (excluding exclusives and dupe turn-ins), and request a remodel in one of their dragon's images (including modification of the wildclaw heart or coatl song note, within the base limits). Keep an eye out in future openings for buy-able custom Jurassic Spark adopts! Using an opt-in system, buyer(s) will be chosen at random at the end of an opening. Successful buyers will have a 1 opening cooldown before they can opt-in again. Customs are predicted to cost 1,000,000 so please keep that in mind when opting-in! 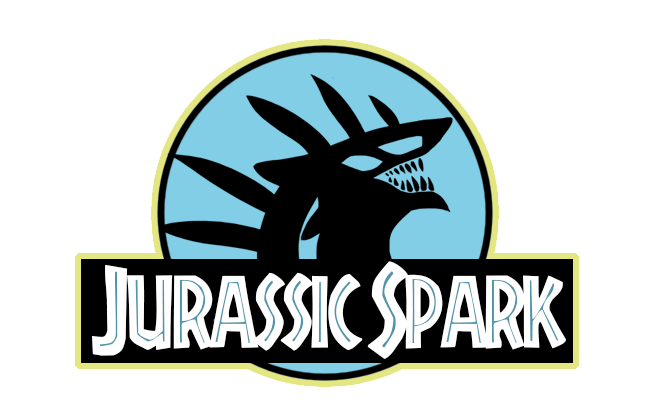 There will also be an associated badge for spending 1mt in one go on Jurassic Spark. The selected buyer will be able to choose from the existing breed poses (excluding exclusives and dupe turn-ins), and request a remodel in one of their dragon's images (including modification of the wildclaw heart or coatl song note, within the base limits). Buy-able custom terms subject to change, until they are officially open.